1-Find full text on the web or in your university library. 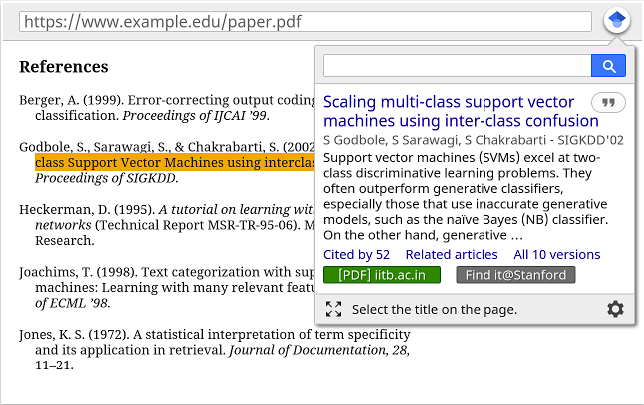 Select the title of the paper on the page you're reading, and click the Scholar button to find it. 2-Transfer your query from web search to Scholar. Press the Scholar button to see top three results; click "full screen" in the lower left of the popup to see them all. 3- Format references in widely used citation styles. Press the quote button in the popup to see a formatted reference and copy it into the paper you're writing.